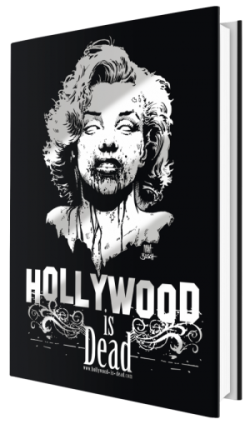 Hollywood is Dead » Store » Breakfast is Tiffany Full-Size Movie Poster! Breakfast is Tiffany Full-Size Movie Poster! 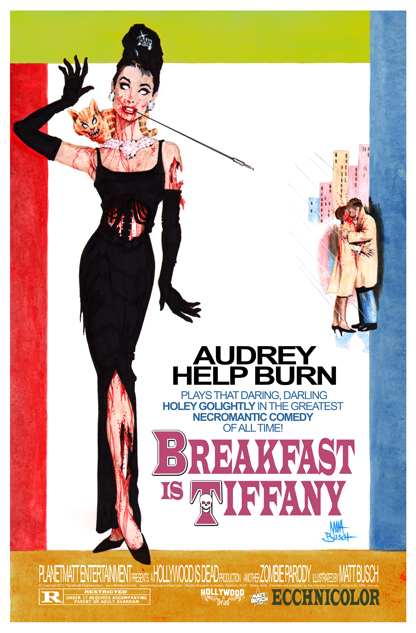 Hollywood-is-Dead is proud to release its best-selling print of BREAKFAST IS TIFFANY as a full-size movie poster! Audrey Help Burn plays that daring, darling Holey Golightly in the greatest Necromantic Comedy of all time! This one is a beaut- and belongs on your wall! Previously offered as a smaller print (which is now Sold Out) you can now get this classic cadaver in all it’s larger than life (or undead) glory! All prints come signed by artist Matt Busch, rolled and wrapped in plastic before shipping in sturdy cardboard to arrive safely to your door.